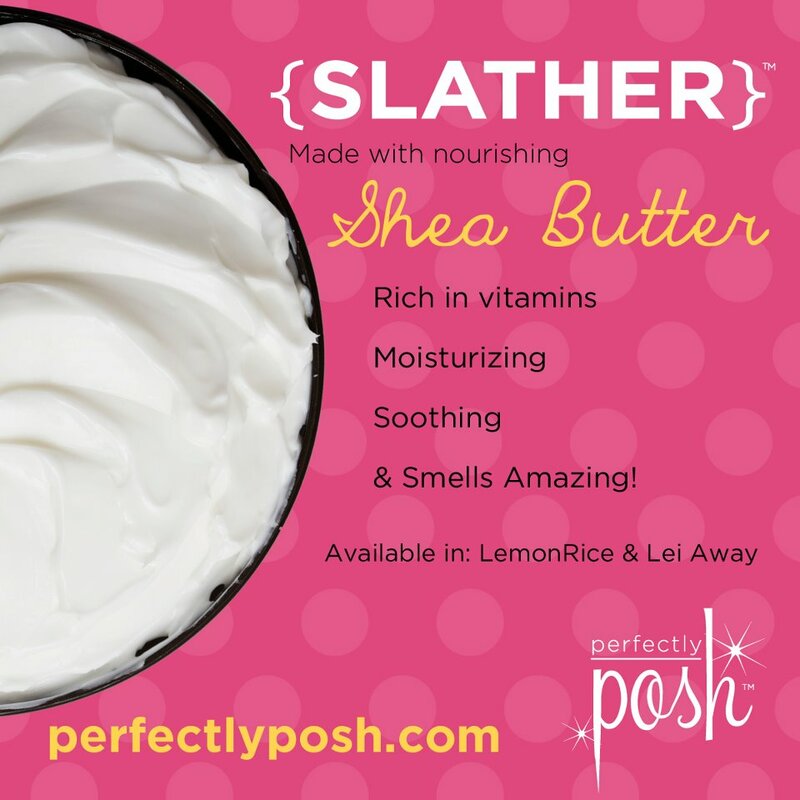 I tried out the LemonRice Body Slather from Perfectly Posh and it really does smell amazing! That's just an added perk though because it is also very moisturizing to my eczema troubled skin. This is non-irritating to me and really does the job in this dry climate. The Perfectly Posh Catalog is a great place to find inexpensive pampering!! Nothing is over $22!! We offer pampering that is spa-grade, long-lasting, and a fabulous experience. Perfectly Posh uses tocopherol (vitamin E) as it's primary preservative, and we fragrance with high-quality perfumes and essential oils. Take care of yourself with products that will please you both mind and body. I also tried a sample of the charcoal soap, the stripper, the sugar fix and Sinful Skin Sassyooma Body Lotion. I really loved them all and they worked great together as a facial. First you start with the charcoal soap which easily took all of my makeup off. (I'm surprised with how many soaps don't do that). Then you use the stripper is which is a detoxifying quick drying mask. 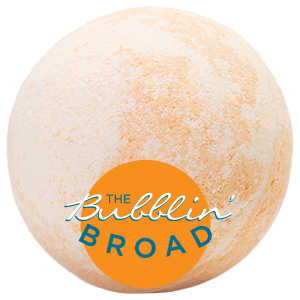 Follow with the exfoliating sugar fix and end with the LemonRice Slather. All products really smell amazing and the little samples I received will last a long time since only a small amount does the job. Perfectly Posh also has great products like Bombinators and Perfume Rollers! There is something for everyone! a Rafflecopter giveaway Giveaway will end August 16th at 11:59 pm. Entries will be verified. Sponsored by Melissa Z at Perfectly Posh. I received samples for review. No other compensation was received. All opinions are my own. This promotion is in no way sponsored, endorsed or administered by, or associated with, Facebook. We hereby release Facebook of any liability. Winner(s) will be contacted by email and will have 48 hours after the giveaway ends to respond before another winner is picked. Gelee' Body Wash Hottie Patottie is what I would like to try! Rubby scrubby sounds just what my feet need. I would love to try the Sugar Fix Scrub. Thanks! Would love to try the Gelee Body Wash. I'd like to try the rubby scrubby. I'd like to try the Cajole products. I like to try the Cajole for her. I would like to try the gelee body wash.
i would like the play footsie fubby scrubby and one of the rollerball perfumes. I'd like to try any of the bombinators. 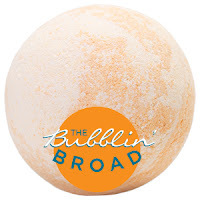 Love bath bombs! The foot scrub...oh I'd love to try anything. THey all sound amazing. They all sound amazing -- but the foot scrub sounds great. http://www.perfectlyposh.us/content/bfyhc.aspx the big fat yummy hand creme! Play footsie scrubbie! OOOO that would be awesome! sugar fix scrub! THANK U! the hot salt sha bang muscle scrub! Yea I think is love it all but that footsie scrubbie is what is like the most. I like trying new perfumes so i like the HotJotter Roller Ball Perfumes! I'd love to try the mango butter. 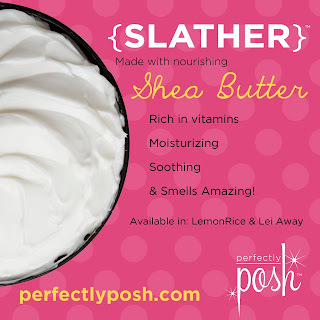 The lemon rice slather body butter! I have heard nothing but amazing things and need to smell this!!! I'd love to try the Sugar Fix. Thanks for the giveaway. I would love to try the sugar scrub! Super Fabulous Sugar Lip Scrub!